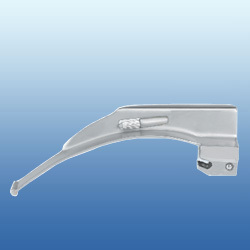 Conventional Laryngoscope Blades offered can be made available by us in different finish specifications so as to find suitability in different end usage areas. 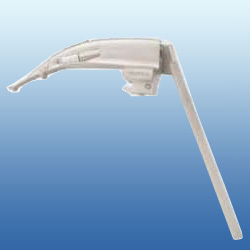 The offered range under this comprises Miller Laryngoscope Blades that are straight blades with tongue having slight upward curve near tip area. 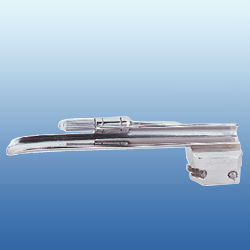 Further, Trupti (Flexitip) Laryngoscope Blades are also offered that find suitability for patients facing difficult intubation possibilities including in cases of backward displacement of tongue, decreased neck movement, decreased mouth opening and others. 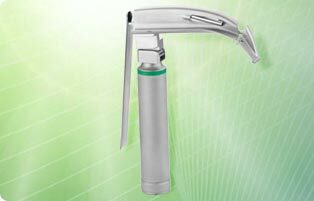 The options made available by us under this include Miller Laryngoscope Blade and Trupti (Flexitip) Laryngoscope Blade. 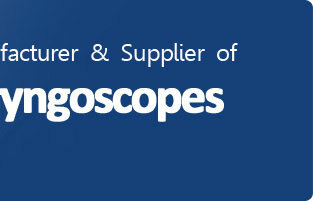 Miller Laryngoscope Blades offered are amongst the most popular blade varieties being made available in the market. 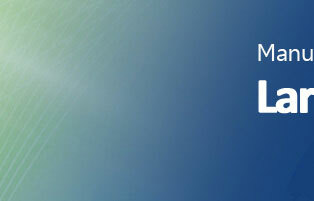 These blades feature presence of straight tongue with a slight upward curve present near the tip area. Further, the cross section area of these blades comprising flange web and tongue also form a C with flattened top finish. 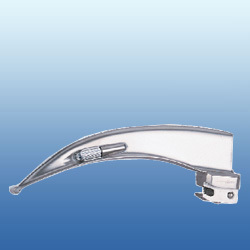 The superior finish construction standards of these Laryngoscope Blades and durable finish quality also make them widely preferred choice among the medical care givers. Trupti (Flexitip) Laryngoscope Blades offered find high suitability amongst each and every practicing anesthesiologist practicing in nursing home and hospitals. The precision and specially designed construction of these blades makes them suitable for use in patients facing difficult intubation. The precise use as provided by these blades allows simplifying elevation of epiglottis as well as exposure of larynx. Further, these are also ideally suited for reducing force employed especially in areas including situations facing forward/prominent upper teeth, forward displacement of larynx, enlarged tongue, backward displacement of tongue, cervical spine injuries, decreased neck movement, decreased mouth opening as well as occurrence of recessive mandible.